I give you a new way of thinking, that can change the rest of your life. Te doy una nueva forma de pensar, que puede cambiar el resto de tu vida. Prem Rawat addressed over 4000 guests at the CCIB Forum Auditorium in Barcelona, Spain. This celebration event was one of the first to be LiveStreamed on TimelessToday. 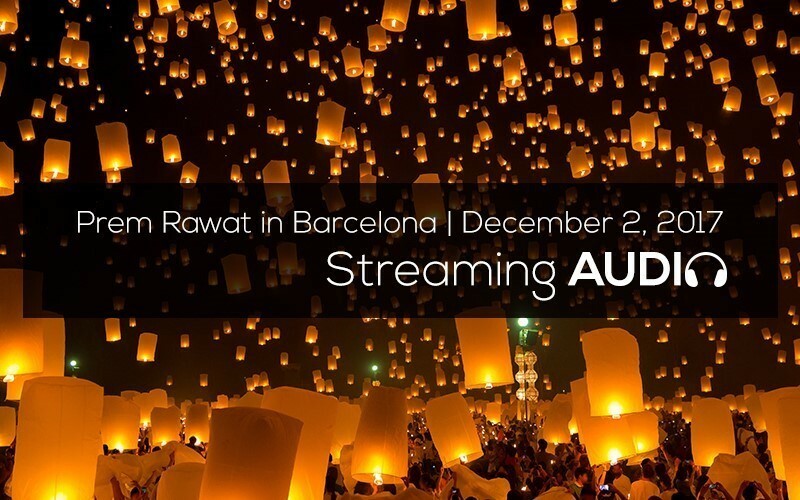 This LiveStream replay is available in English and Spanish.